Measure Twice is a weekly program on 95.3 "Michiana's News Channel" every Saturday morning at 10am. Joel Graber of Graber Custom Remodeling and Chris Kramer of C. Kramer Interiors team up to help people better understand their homes, the planning of their homes, and how to best utilize the space in your home. Chris brings the unique perspective that only a professional interior designer can offer to help you discover the best ways to make your home look beautiful and fulfilling and feel comfortable. Joel offers the best perspective on the implementation of ideas and concepts with his extensive knowledge of remodeling and how projects can realistically come to life. Listen to Measure Twice on 95.3 "Michiana's News Channel" every Saturday morning at 10am and in case you missed a show you can always find them here on mtwiceshow.com! Listen to previous episodes of Measure Twice below, and be sure to subscribe to our podcast! Joel is the beautiful face and voice of the Graber family business, Graber Custom Remodeling. Joel’s father started the family business when he was 11. Since then he’s been in and around home building and remodeling. Even before his dad started the business he knew he wanted to be involved in the build processes in some fashion. Joel’s been a trade sub in roofing, in trim carpentry, and for a period of time worked for Glenn at Halsey Tile where he got a chance to work with tile and stone counter tops. After joining the family business he saw the need in the market for a remodeling company that not only cares about its bottom line, but also cares about the detail to work, the customer and the good people both subs and employees that work with them. Now after years of work we are set apart by our workmanship and our care. Chris began his career in the design and furniture business in 1989 at a high-end furniture store in South Bend. There he began to develop his design skills while finishing school. Over the course of 23 years Chris has successfully built a reputation for good taste, artful design, honest business practices and integrity of character. 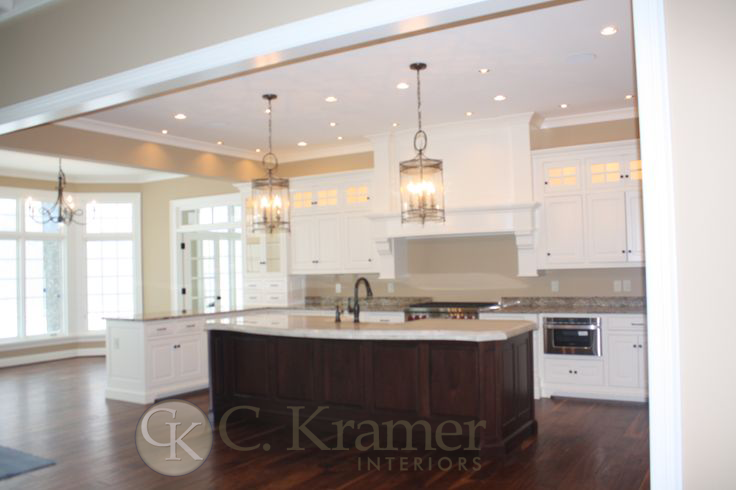 Chris launched C. Kramer Interiors in the fall of 2012. He believes good design is always a collaboration between the designer and client, and that listening to Chris’ design philosophy is rooted in the elements of classic architecture, art and furnishings. He believes interiors should be tailored to stand the test of time. Mario Buatta once said, "Before you pick the paint make sure the architecture is right," and Chris agrees. In addition to Mario Buatta, Chris is inspired by designers Mark Hampton, Albert Hadley, Michael Smith and Scott Snyder.